Two out of every five people (40 percent) claim their perception of a company or brand has been negatively affected by their experience in the corporate lobby or reception area. 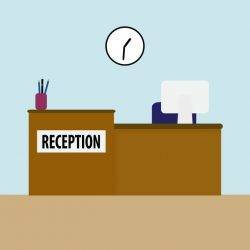 Of 2,000 US and UK office workers surveyed in Proxyclick’s annual ‘Office Worker Bugbears’ survey, over 70 per cent (71.48 percent) cited unfriendly receptionists, followed by over half (53.78 percent) naming a lacklustre welcome as top reasons for their bad experience. ‘The Integrated Visitor Experience’, a white paper which explores integrated building, security and workplace management technologies, claims that visitors can feel a culture the moment they walk through the door to an office. Gregory Blondeau, Founder of Proxyclick, said: “Not five to ten years ago, the visitor experience did not really exist, the basic process simply covered how someone is received in a building or premises and how they’re able to move around. Today, the rise of smart buildings, developments in automation, open application programming interface standards and cloud technology, have changed the game.” Click the link to download the ‘Integrated Visitor Experience’ white paper.